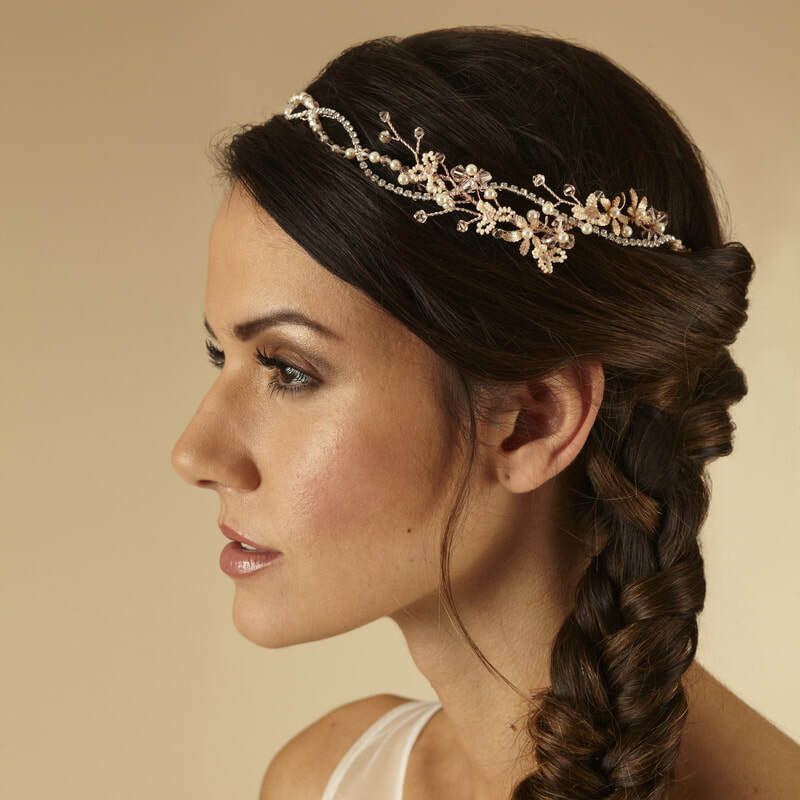 A delicate bridal hair vine with a diamante strand entwining with pearls & crystals and pretty beaded flowers to the side. 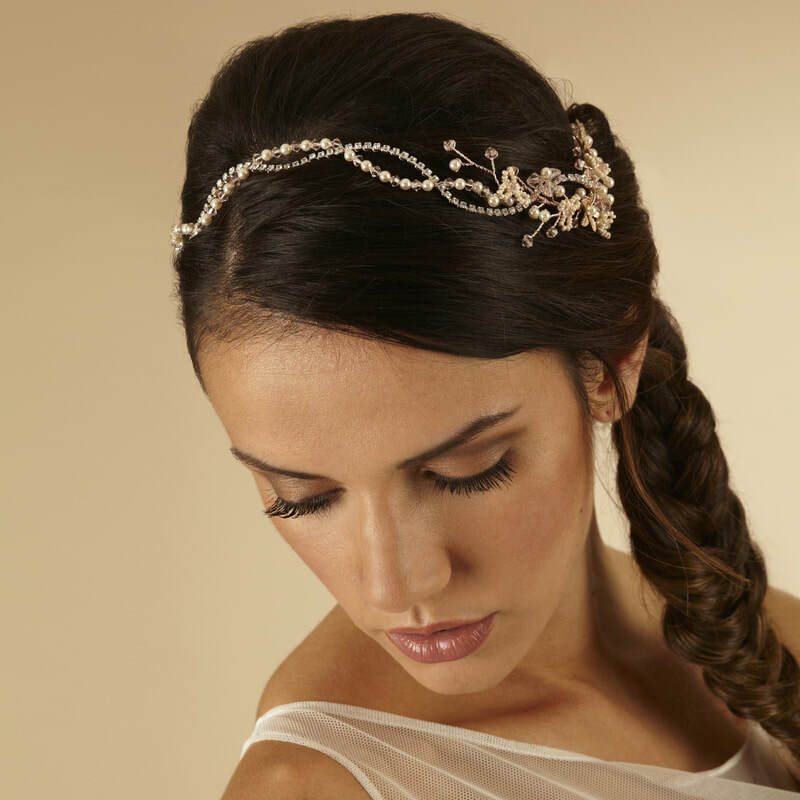 This piece looks great worn as a headband (shown) across the forehead or worked into the back of an updo. Model wears AR535 in Rose Gold with Creamrose Pearls and Silk Crystals.